This is a combination of Lon's coveted Brute de Forge Kephart with Crucible's CPM-3V tool steel, providing massive amounts of toughness and edge holding for this iconic design. Lon also sharpened the upper portion of the spine to allow for easier striking of a firesteel. 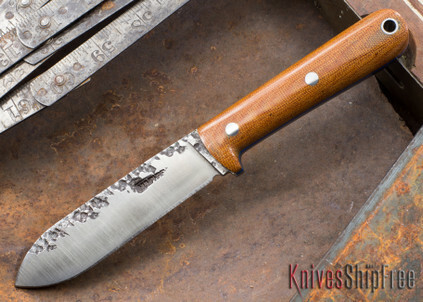 Lon Humphrey is a bladesmith. He crafts his knives the old-fashioned way -- hands, heat, hammer and anvil. 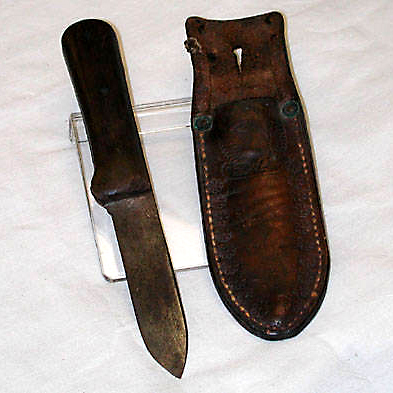 It's appropriate, then, that one of the knives that's helped build Lon's growing reputation is associated with iconic woodsman Horace Kephart. "It was made by a country blacksmith, and is one of the homeliest things I ever saw; but it has outlived in my affections the score of other knives that I have used in competition with it, and has done more work than all of them put together." 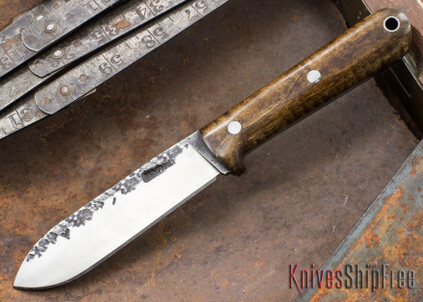 Lon Humphrey's Custom Kephart is as close as you can get these days to the blade carried by Horace Kephart -- simple, strong, forged by hand and, to our eyes, beautiful.